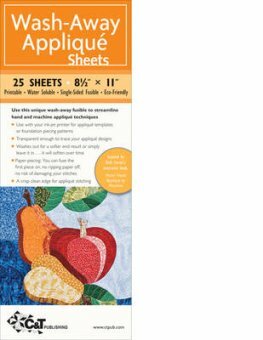 Draw appliqu motifs or print them on these handy sheets with an inkjet printer, fuse the paper to your appliqu fabric, sew on the motif, then just wash away the paper after stitching. Appliques are soft and flexible without the need to cut your quilt or remove freezer paper. Includes 25 sheets, sized 812" x 11".